HBO is a major player in the cord cutting revolution, but it's one with a very complicated role. It wasn't so long ago that HBO was part of the case to keep cable: the premium channel was available only to legacy pay TV subscribers. But as a premium channel, HBO never had quite the same kind of relationship with the cable and satellite giants as, say, ESPN did – and that made it well-positioned to pioneer new ways of bringing its content to viewers. It wasn't just viewers who wanted to know how to watch HBO without cable: HBO itself was interested in meeting its fans in a more direct way. These days, HBO has its own streaming service, HBO Now. But while HBO Now is one great answer to the question of how to watch HBO without cable, it's not the only one. HBO is a streaming company now, but it hasn't stopped cutting deals with the cable giants – or with the new wave of live TV streaming services that are challenging the legacy pay TV companies. These days, there are a ton of ways to get HBO without cable, and that can make things a little confusing. The good news is that it's not hard to see how to watch Game of Thrones without cable, and you don't have to miss out on the golden age of TV just because you don't have cable. The bad news is that the huge number of options can make your head spin. We'll sort it all out below. An HBO live stream is easy to come by, but you may want to spend a little time deciding how you're going to get yours – because there are a lot of different options. We'll list them all below, but before we dive in, let's talk about some of the types of services you'll see on this list. First up are the skinny bundles – the live TV streaming services that are challenging cable and satellite. These guys offer slimmed-down cable-like bundles of live network television channels, and they let you stream those live channels on all kinds of devices. Most skinny bundles allow you to tack on premium channel subscriptions for an extra fee each month. Think of these as being just like cable, but online and cheaper. And, of course, HBO has its own streaming service: HBO Now. Each of these options below is a viable path to an HBO live stream. So which one should you pick? Price is a factor, and we'll cover that below. But think as well about which services and platforms you use to view your content. If you are an Amazon power user with a Fire TV, a Prime account, and a couple of other Amazon channels already set up, it's a no-brainer to opt for the Amazon path and keep everything organized. 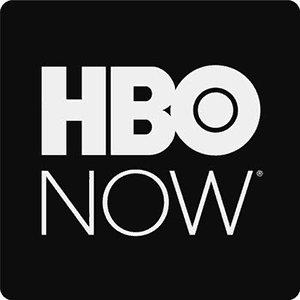 If you've signed up for your favorite services through one device (like a Roku or iPhone) and want to keep your media-related bills all in one place, HBO Now – which bills you through whatever device you use to register for it – is a convenient option. If you want to reclaim that cable feeling and plan to invest in a skinny bundle, you might as well tack HBO on there, so that you don't have to switch apps every time you want to switch from another live TV channel to your HBO live stream. In short, HBO is always the same, so ask yourself which app you'd like to use to access it (that's app, not device – as we'll cover later, most of these work just fine on any major streaming-capable device). In many cases, you'll also have the option of using HBO Go – HBO's streaming app for pay TV subscribers. You need a pay TV login to access HBO Go, so it's not on the list below as a standalone option. But it is accessible to cord cutters who pay for HBO through skinny bundles or Amazon, so if you don't want to use your service's main app to watch HBO for whatever reason, you can grab HBO Go as well. Alright, we've gone on long enough with the explanations. Here's the list! This is how to watch HBO without cable. Hulu's skinny bundle service costs $39.99/month, and you can add HBO for $14.99/month. That's a pretty typical price for HBO. If you're already a fan of Hulu's live TV streaming service, it makes sense to have all of your live TV in one place. If you're not yet a fan, it's worth checking out: Hulu with Live TV has a week-long free trial (check it out via the link below), and matches up well against the competition. You can read our review of Hulu with Live TV here. Sling TV was the first skinny bundle to become widely available, and it pioneered the idea of add-ons. These days, all skinny bundles have some kind of add-ons (like the HBO subscriptions we're talking about here), but none take the concept as far as Sling TV, which invited subscribers to choose one (or both) of two base packages and then build a customized bundle out with add-on mini-bundles of channels grouped by type. Among add-ons like “Sports Extra” and “News Extra,” you'll find one add-on that includes just one channel. Yep, it's HBO, and it's going for the standard price of $15/month. There's one more thing that's worth noting here: since Sling TV's base packages are the most affordable of any of the major-league skinny bundles', your total price here can be lower than with any other skinny bundle option. “Sling Orange” ($25 per month) or “Sling Blue” (also $25 per month ‘ both together are $40 per month) and HBO ($15 per month) total up to $40 month, which is $5 lower than the next-best skinny bundle option (DirecTV Now's Live a Little plus HBO, which comes to $40 per month – though that method will net you more total channels). PlayStation Vue delivers just about exactly what you'd expect from a skinny bundle service. It offers bundles at different tiers and price points, with each larger bundle including all the channels from its smaller brothers. The smallest package costs a very typical $44.99 per month. Your HBO live stream is exempted from the tiers and can be tacked onto a bundle of any size for the very typical price of $15 per month. But PlayStation Vue is better than typical when it comes to its features – it pioneered the cloud DVR feature (increasingly an industry standard), streams smoothly, and works on a wide variety of devices, including (of course) the PlayStation 4. The only sub-standard thing about Vue is the length of its free trial – you'll have to make up your mind in five days instead of seven. But PlayStation Vue is great, and it won't take you five days to figure that out. 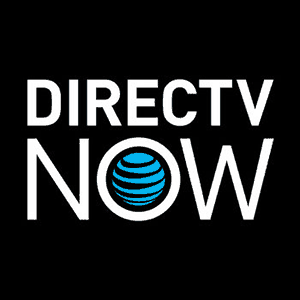 DirecTV Now is a skinny bundle that sorts its channels into tiered packages. Each larger bundle includes all the channels from the smaller ones, plus some new ones. HBO is exempted, though – it can be tacked on by itself to a bundle of any size, meaning you can snag the cheapest bundle (the $40-per-month “Live a Little”) and then grab HBO for $5 per month. Yep, just $5! That's a pretty sweet deal. Could it be because HBO is owned by Time Warner, which is merging with DirecTV Now owners AT&T? Anyway, this is the second-cheapest HBO price of any skinny bundle. The total here is $45, of course, because you have to get a base package – but for HBO fans who were already planning to get a live TV service anyway, DirecTV Now is a worthy choice. HBO is available as an add-on to your Amazon account. 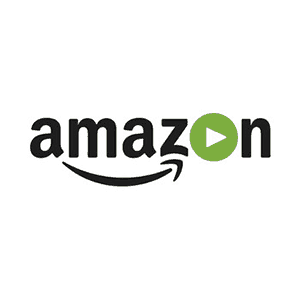 When you go through Amazon, HBO is $14.99/month – but Amazon Channels are only available to Prime subscribers, so take that into account (Amazon Prime is $99/year, so about $8.25/month, and it of course includes a host of other perks, like a big on-demand video library and free two-day shipping on many Amazon purchases). Just as the skinny bundles above will integrate your HBO experience with their apps, this option would put your HBO live stream inside of your Amazon Prime app (unless you have a Fire TV, which acts in some ways like one big Amazon app and will give Amazon subscriptions and purchases top-level billing alongside full apps from competitors like Netflix – for more on how that feels as a user, check out the Cordcutting.com Amazon Fire TV review). HBO's standalone streaming service is HBO Now. And, to be clear, HBO Now is HBO's only stand-alone streaming service: HBO Go is not a stand-alone service, and it exists to serve those who have an HBO subscription by some other means (you'll have to log in with your pay TV credentials to use HBO Go, which is why it doesn't get its own section in this piece). HBO Now, on the other hand, is a direct subscription service and a true cord cutting option. You pay HBO $14.99/month and you get access to an HBO live stream and on-demand content through the HBO Now app, which works on a huge range of devices. HBO Now can be mildly confusing to some because of its device focus: originally launched as an explicitly mobile solution, HBO Now is billed through your device. Sign up on your iPhone, for instance, and you'll be billed through your Apple account. But that doesn't mean you can only watch HBO Now on your iPhone (or whatever device you signed up for): you can use your new account to log in on all sorts of other devices. Whether or not this piggybacking billing scheme is appealing to you is a matter of personal preference. Also worth noting: this option puts your HBO live stream in its own app, rather than integrating it into some other app. Can I Watch HBO on Roku, Fire TV, Apple TV, or Chromecast? You bet! The apps listed above all have fantastic platform support. Each of the major skinny bundles has an app for each of the major streaming platforms, including Roku, Fire TV, and Apple TV. Each also has apps that work with Chromecast. The same goes for Amazon, which has perhaps the best platform support of all of these, and for HBO Now. All of these services have you covered on mobile devices, too, including iOS (which, in turn, includes iPhones and iPads) and Android devices. And you can watch on your computer, too, by using the in-browser apps boasted by each of these services. Android TV is covered, too, which means fans of the Nvidia Shield and other major Android TV boxes are all set – though it's worth noting that, as of this writing, DirecTV Now is the one exception here. Even gaming devices can get in on the fun, though platform support isn't quite as robust in this case. 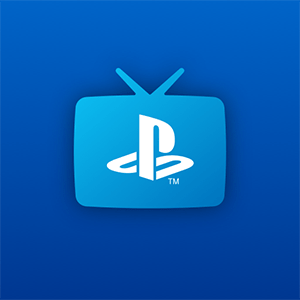 PlayStation Vue works, of course, on PlayStations. Sling TV works on Xbox One. Amazon has apps for both. Oh, and one more thing: you can also use HBO Go. HBO Go is not a subscription service in and of itself, so it didn't get its own section above, but it offers all the same content that we've been focused on here. You get in by logging in with credentials that prove you pay for HBO through some other provider, so HBO Go is widely used by people who have cable or satellite and want to watch HBO on their streaming device. But you can also log in if you have HBO through a skinny bundle or Amazon, so it's worth mentioning here that HBO Go works with Roku, Fire TV, Apple TV, and Chromecast as well.